The 1960s saw the emergence of mainframes, the 70s the mini-computer, the 80s the personal computer, the 90s the Web, and the 2000s smartphones and social media. At every iteration, the core innovation moved us towards greater usability of computing by a greater number of people. Today, we are witnessing the next evolution of usability and access: the rise of Voice First — the most natural human-to-artificial-intelligence interface, the one that no engineer or designer invented: the interface of human natural language. And at every iteration, the rate of adoption of the new enabling technology increased compared to the previous innovation. 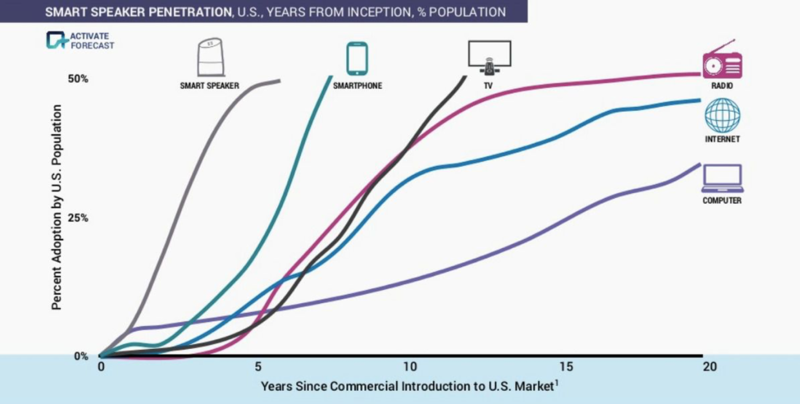 It took decades for the PC to go mainstream, a decade for the smartphone to be the extended hand of more than 50% of the population, and half of that for Voice First to reach the same milestones. Indeed, what we are witnessing is nothing short of the emergence of a whole new world — The Voice First Web — and just as we did in the late 1990s, when the Web as we know it was emerging, everyone is beginning to understand that this new web is no passing fad. But just as with the Web, this new disruption is so fundamental and so far reaching that it is difficult for us to meaningfully imagine the full implications that the disruption will have on the way we live our daily lives, do business, and interact with one another. But one lesson that we, those who witnessed the birth of the PC, the Web, the Smartphone, Social Media, can all agree on, is this: those who started early, those who took the trend seriously, those jumped in and adopted and took a risk, benefited enormously from engaging and acting and doing, and those who didn’t, had to play catch up at great expense. Take Marketing as an example. Unfathomable as it may appear to us today, it took several years after the launch of the Mosaic browser in 1993 before having a website became a marketing table stake. The same thing happened with Facebook, Twitter, Youtube, the Smartphone, Instagram: it took several years before what is now an obvious must-have was taken seriously by marketers and pulled into their marketing properties portfolio. As the adoption of voice first goes mainstream, we are witnessing the same story unfold. 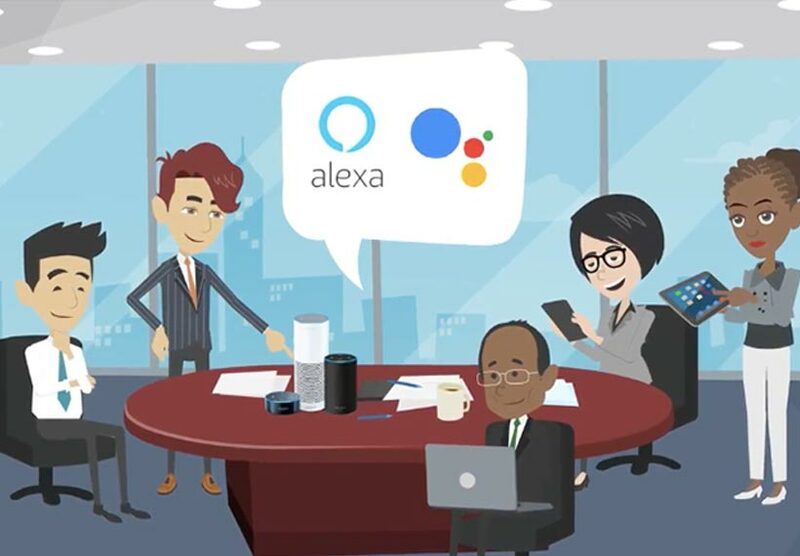 Brands will need presence in voice sooner or later, it is becoming obvious to those who are closely following the voice first space grow, and big brands with visionary marketers are jumping in early. But the vast mainstream is still not aware of the pattern. And the same is happening with Customer Care. Just as it took Customer Care leaders years to adopt as tools for helping their customers technologies such as the plain old telephone, email, the web, self service telephony, and chat technology, the same is happening with the voice first interface. 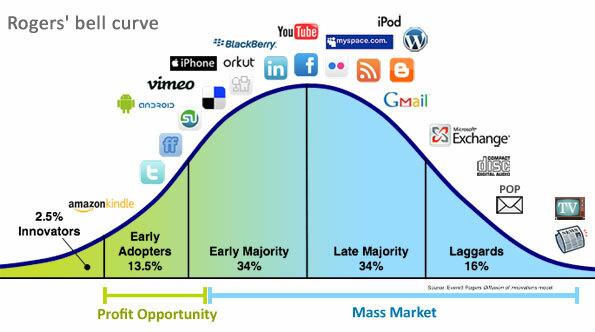 So, what is your business doing to jump in early and reap the benefit of an early adopter? As an insightful study by Congizant revealed, early adopters avoid paying the hefty price of a “Laggard Penalty” (the later your adopt a technology, the less time you will have to reap the benefit of your investment until the next disruption), get to stay in sync with their customers and their digital behavioral evolution, and reap the brand benefits of being a company that is on top of the latest disruptions. If you would like to establish your Voice First presence on The Voice Web, please drop us a note below and we will be happy to engage.